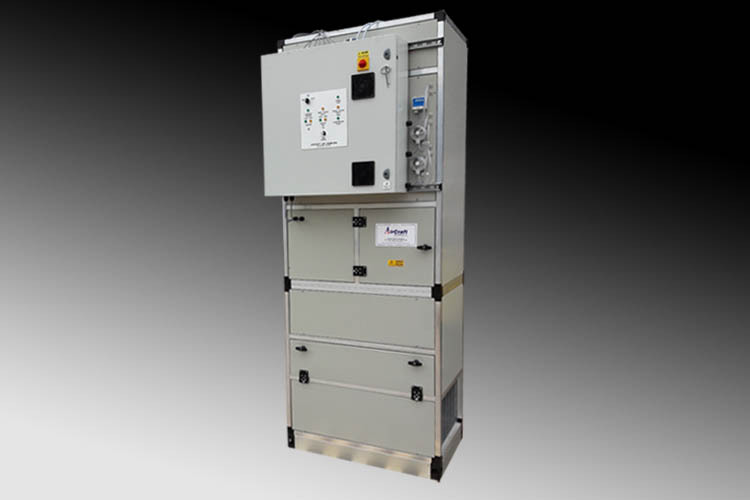 Ideal for Residential Apartments, Houses and Offices, the Vertical Air Handling Unit from AHU Manufacturer - AirCraft Air Handling is specifically designed to fit conveniently into small recesses. 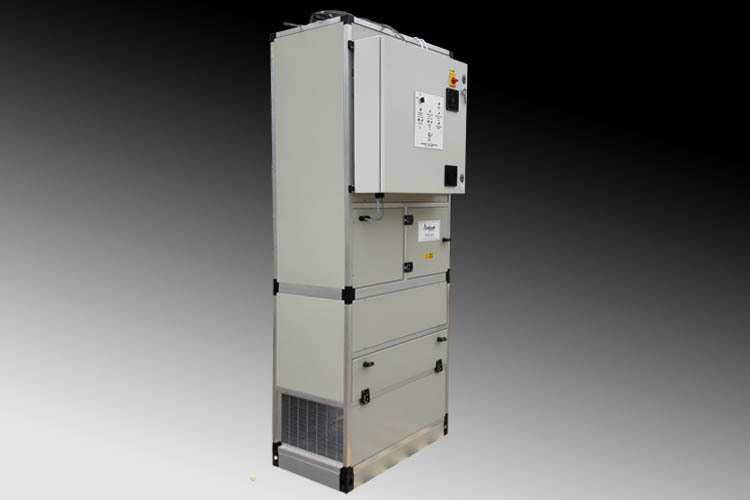 Having low noise break out, the Vertical AHU - Air Handling Unit provides fresh quality air to create a comfortable relaxing or working environment. Built from a strong aluminium profile construction, this AHU - Air Handling Unit provides an easy to install and easy to commission ventilation system with convenient access to maintenance areas. AirCraft Air Handling of Stafford provide custom built Air Handling Units and Ventilation Units providing quality air environments. British manufactured at AirCrafts’ Stafford operation, AirCraft Air Handling are the preferred Air Handler provider to many Restaurants, Retail Stores, Fitness Clubs, Hotels and House Developers across the country. 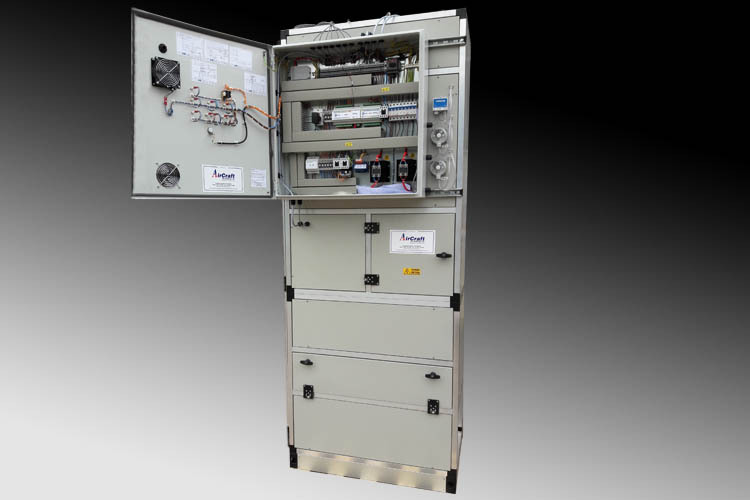 AirCraft Air Handling also manufacture quality AHU - Air Handlers into the public sector including Schools & Colleges, MOD, HM Prisons, NHS Hospitals & Clinics, Police Force and Government Agencies.